Fang, Liping Zhang, Shuqiu Chen, Zilei Du, Hongxia Zhu, Qian Dong, Zhan and Li, Huidong 2015. Risk assessment of pesticide residues in dietary intake of celery in China. Regulatory Toxicology and Pharmacology, Vol. 73, Issue. 2, p. 578. 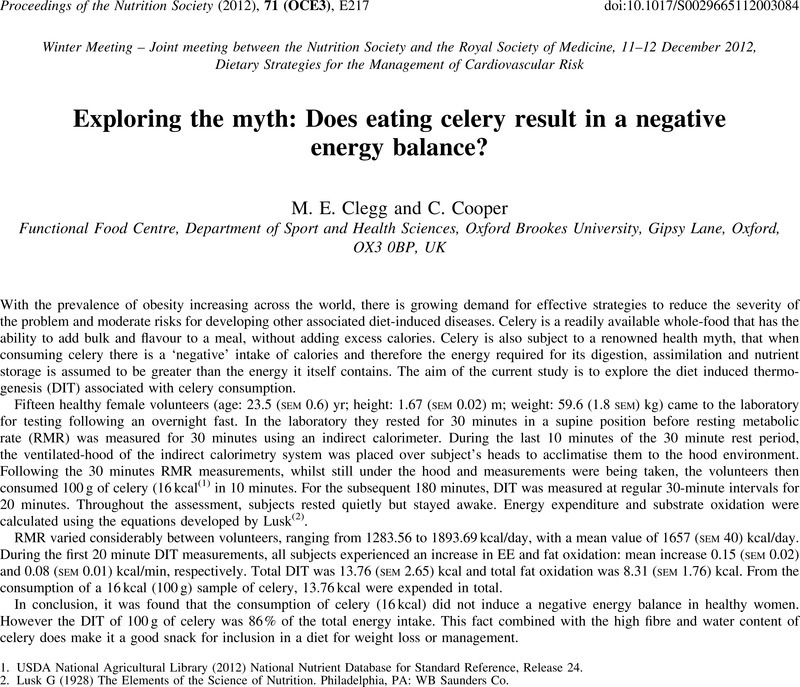 Exploring the myth: Does eating celery result in a negative energy balance? 1. USDA National Agricultural Library (2012) National Nutrient Database for Standard Reference, Release 24. 2. Lusk, G (1928) The Elements of the Science of Nutrition. Philadelphia, PA: WB Saunders Co.